We are an all-volunteer organization that works to protect open space and educate the public about environmental issues here in the town of Hamden. We are a 501(c)3 organization and our board members receive no compensation for their time. Our stewardship efforts include regular monitoring and maintenance of properties and trails as well as enhancing and maintaining infrastructure, such as trails and signage. We carry out our our work through the auspices of a number of committees. Find out more about how these committees operate and what their goals are below. The mission of the Stewardship Committee of the Hamden Land Conservation Trust is to take care of Land Trust properties, keeping them in good condition and protecting their natural resources so as to maintain their conservation and public benefit values; to monitor conservation easements to ensure that the terms of the easements are honored by the landowners; and to provide input and advice to the board regarding stewardship of proposed new acquisitions and easement properties. We welcome volunteers to help maintain our properties. Help is always needed for clean-ups and special projects. Become a volunteer. 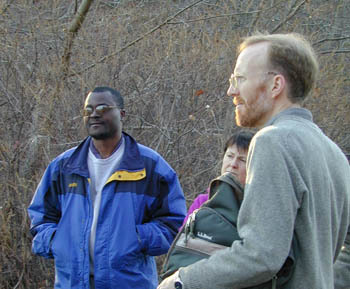 In keeping with the Hamden Land Conservation Trust's mission, the education committee plans and hosts educational programs that inform our community about the importance of open space and environmental issues. Programs also introduce audience members to native plants and wildlife. The education committee also publishes a twice-yearly newsletter and manages this website. The Acquisitions Committee identifies, responds, and reaches out to property owners who own land in the town of Hamden, and who may be interested in preserving it in its natural state, either through a conservation easement, sale, or donation to the Land Trust. For more information about this committee, volunteering, or preserving a particular piece of land, please contact us. It is the goal of the Standards and Practices Committee (the “Committee”) to ensure that the Hamden Land Conservation Trust ( the “HLCT” ): has incorporated according to the requirements of state law, maintains its corporate status, and operates under bylaws based on its articles of incorporation has qualified for federal tax-exempt status and complies with requirements for retaining this status, including prohibitions on private inurement, political campaign activity and limitations and reporting on lobbying and unrelated business income meets the Internal Revenue Code's public support test for public charities for any conservation easements it holds or intends to hold meets state tax-exemption requirements does not engage in political campaigns or endorse candidates for public office complies with its whistleblower, records retention and conflicts of interest policies conforms to relevant and applicable “best practices” as promulgated by the Land Trust Alliance. The nominating committee proposes to the board of directors, and with their approval to the annual meeting of land trust members, a list of candidates for election to open positions among the board and officers. If you know qualified candidates, or wish to assist this committee, please contact us.